Wood... is it making a comeback? It may sound like a bizarre and even dangerous concept at first, but don’t let your preconceived notions fool you. These wooden skyscrapers are actually using some very cutting-edge technology and may even be more resistant to fire than skyscrapers built with steel and concrete. 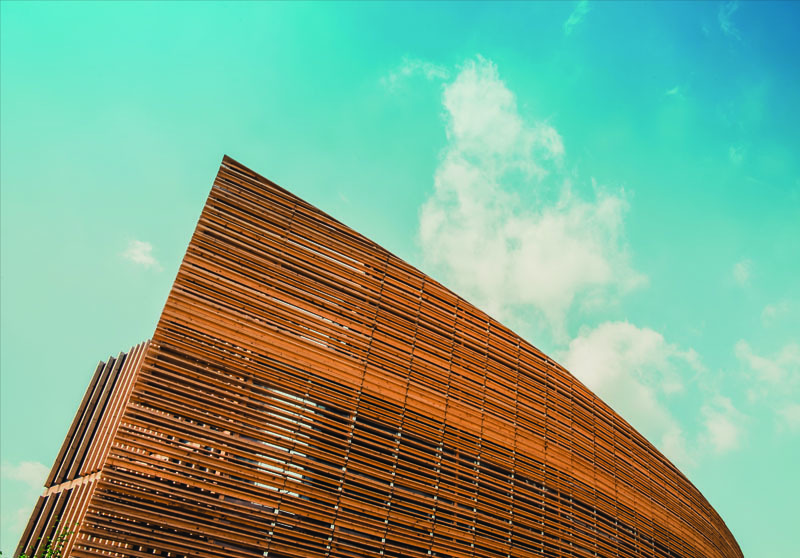 The major breakthrough that has led architects to revisit the use of wood in rall buildings are modern forms of engineered timber products such as cross laminated timber, or CLT. CLT is constructed using thin layers of wood on alternating angles, held together by fire resistant glue – a sort of super plywood. This results in a material with high strength, low weight and a high resistance to fire. When tested for fire safety, CLT withstood fire better than its steel and concrete counterparts. This is mainly due to the wooden panels being simply too large to ignite – like trying to set fire to a log without kindling. In cities including London, Chicago, Skelleftea (Sweeden), Melbourne and Tokyo, just to name a few, wooden skyscrapers are beginning to pop up within the city skylines. While there are several advantages to using wood as a building material, a major factor could be attributed to its impact on the environment. Wood acts as a sort of ‘trap’ for cO2 and, especially when compared to those made of steel and concrete, wood has a very low carbon footprint. With so much global pressure to reduce our impact on the environment, these buildings can act as a symbol to a city’s or a country’s dedication to good environmental practices. There are still some challenges that must be overcome if we are to expect wooden buildings to start hitting the 200 or 300m mark and remerge as the most popular building material in the world, but recent progress certainly puts a spark of hope into its future in the modern world.